The motorcycle’s wiring harness is responsible for distributing power and connecting all the electrical components on your bike – the lights, turn signals, horn, ignitions system, etc. a power or hot wire that runs power from the source. the load device (lights, horn, ignition, etc.). a ground (to the frame or a ground wire). Power leaves from the power source, follows the hot wire to the electrical component, and grounds back into the frame or ground wire. 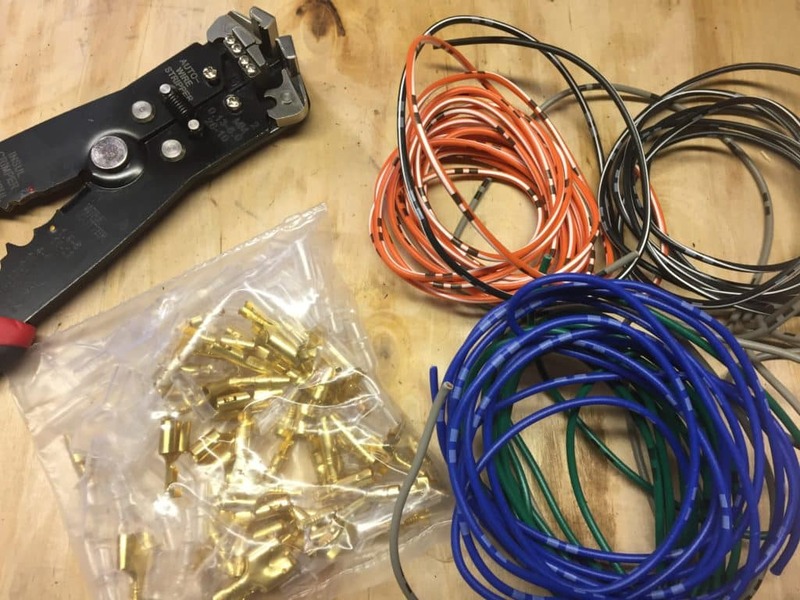 If you’ve purchased a project motorcycle with a completely damaged wiring harness or if you plan on doing a custom application, you can make your own simple wiring harness. A motorcycle’s wiring harness is essential composed of multiple wiring systems. One for the lights, turn signals, ignition, and any other component that uses electricity on the bike. A motorcycle wiring diagram, which is usually found near the end of your motorcycle shop manual, will allow you to identify which color wires are responsible for which systems. Learning how to read and interpret the wiring diagram will allow you to quickly troubleshoot wiring issues and track down shorts. Depending on the motorcycle, your wiring diagram will either be colored in the manual or each wire will be accompanied by a color code (i.e. Br for Brown, G for Green, etc.). If something electrical is not working on your bike, you can refer to your wiring diagram to help you identify the problem. i.e. If your headlight is not working, check the wiring diagram to see which color wires are responsible for providing power and grounding the headlight, and start from there. Make sure the battery has a good, full charge before you start doing electrical tests. You can check individual wires with an Ohmmeter or multimeter. Use the meter to test for voltage between the battery and the device’s connector. You can also use the Ohm setting to check for continuity in the wires and identify if there is a broken or corroded wire that’s underneath the wiring harness cover. Whenever you get a project motorcycle that’s been sitting for a while, it’s a good idea to go through each connection with electrical contact cleaner and a wire brush. Cleaning connections can help remove any light corrosion or grime that may have built up and is causing problems. If you find a wire that is broken, melted, or too corroded, you’ll need to replace it. Be sure to replace the wire with a wire of that same gauge. 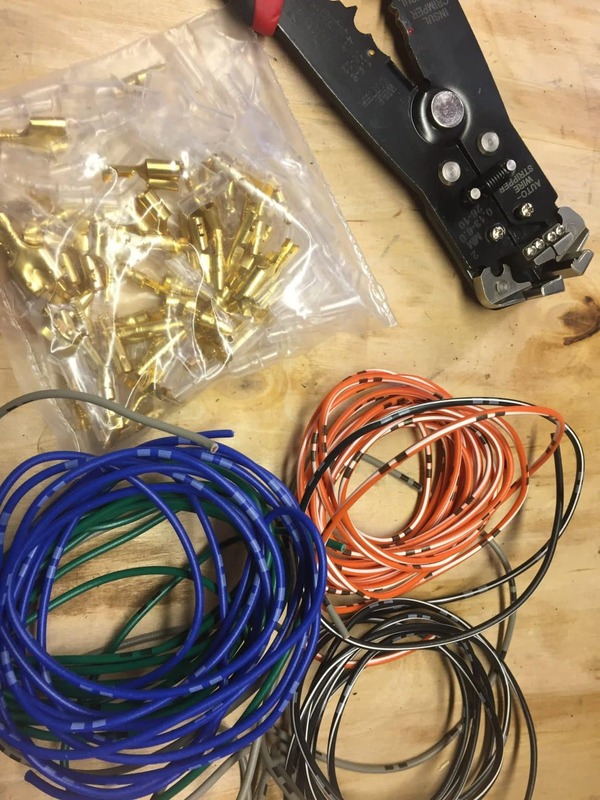 If your entire wiring harness is shot and you’re looking for a custom solution, use this guide to create simplified wiring harness for your bike.